This is our pick of the 10 Best hotels in Pattaya. We have hand picked these as the best of the best. 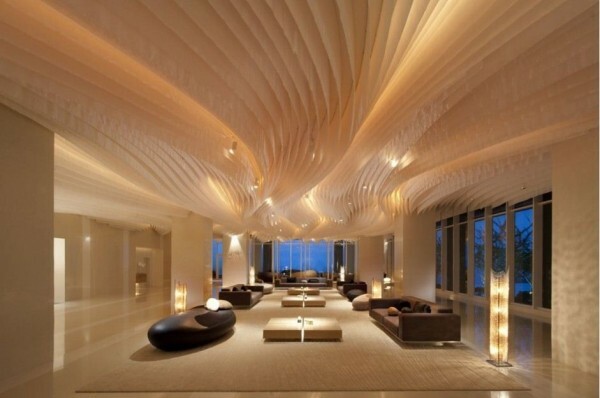 Chosen from over 1000 Pattaya hotels as the most luxurious, highest levels of service and the best amenities available. We have personally stayed in each of these of properties and can vouch for the standards offered. With so many hotels in Pattaya to choose from, it was no easy task narrowing the list down to the 10 best. When we set out on this task we decided to try to include at least one hotel that is suitable for all types of traveler and to pick hotels located in the different areas of Pattaya. So whether you are here to for the amazing nightlife, a family looking to experience the amazing attractions or a couple looking for privacy and relaxation, we have you covered. The list of contains at least one resort in Central Pattaya, Naklua and Jomtien meaning that wherever you decide is the right area for you. there is a choice for you. With out a doubt the best hotel in Pattaya is the Royal wing suites. Located in the ever popular peninsular of Pratumnak beach, between central Pattaya and Jomtien. The location alone is amazing here, less than 2km from Walking Street, yet secluded enough to feel like a private island. The Royal Cliff has been not just Pattaya’s but one of Thailand’s most luxurious hotels for a long time now, and rightly so. The Royal wing suites is actually and all suite extension of the Royal Cliff resort and Spa. There are 85 suites in all, and each is perfectly appointed and many have hosted royalty and celebrities over the years. 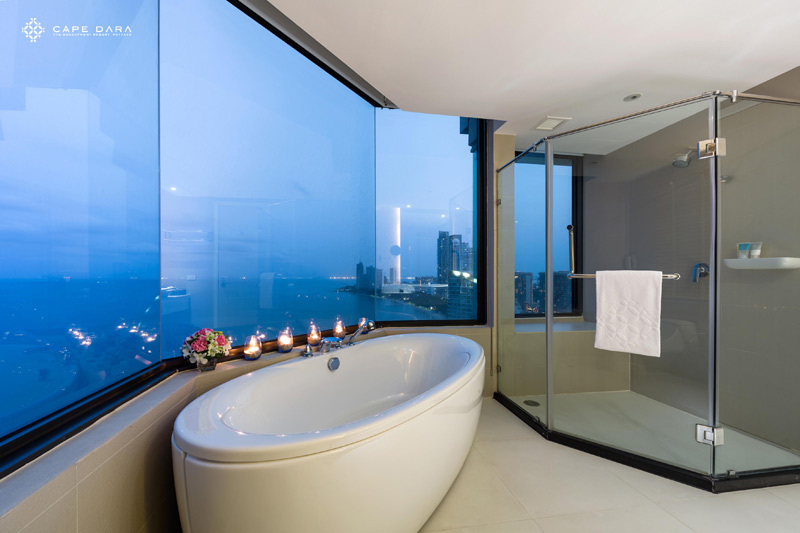 Each suite offers uninterrupted views of the spectacular Pattaya bay. Enjoy private dining facilities on your own balcony whilst enjoying a remarkable sunset. The hotel offers some amazing facilities, such as a very secluded and private beach, several stunning swimming pools and lounge areas over looking the bay. The dining options here are endless enjoy some of the finest cuisine available in the city, from all corners of the globe as well as the best Thai food in the Pattaya. Next on the list of best hotels in Pattaya is the Dusit Thani. All over Thailand the name Dusit Thani is synonymous with luxury hotels, and Pattaya is no exception. The resort enjoys an enviable position at the very Northern end of beach road, nestled between central Pattaya and Naklua. This prime location means the Dusit Thani offers unrivaled views across both Pattaya and Naklua bays. The hotel is stunningly decorated in a traditional Thai interior, and this theme is carried through in everything the hotel does. From its stunning atrium style lobby, complete with traditional Thai wooden artifacts to the traditional Thai dress that adorns the staff. If your after authentic Thai luxury then this is the property for you. Each of the hotels 457 rooms are tastefully decorated in an elegant theme and most offer stunning sea views. On site there are 2 large outdoor pool areas, secluded beach, 3 tennis courts and numerous dining facilities including an amazing patisserie in the lobby. 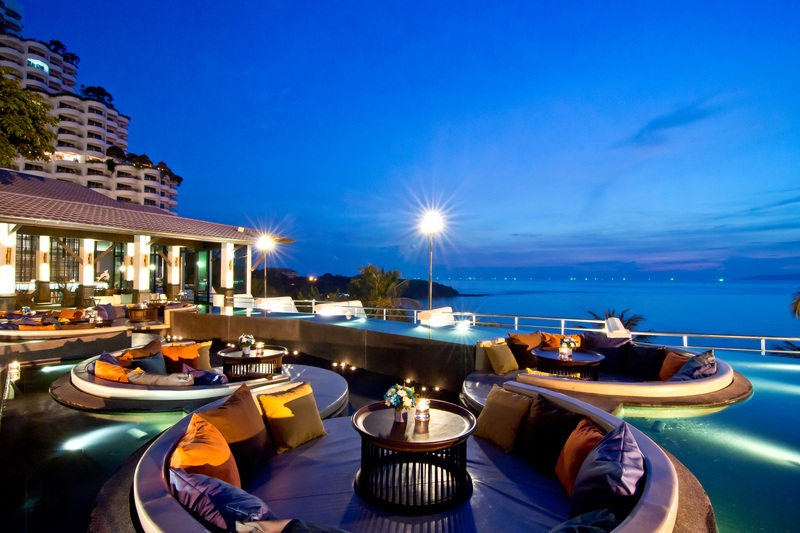 The Northern end of Pattaya, Naklua has fast become known as the luxury end of the city. 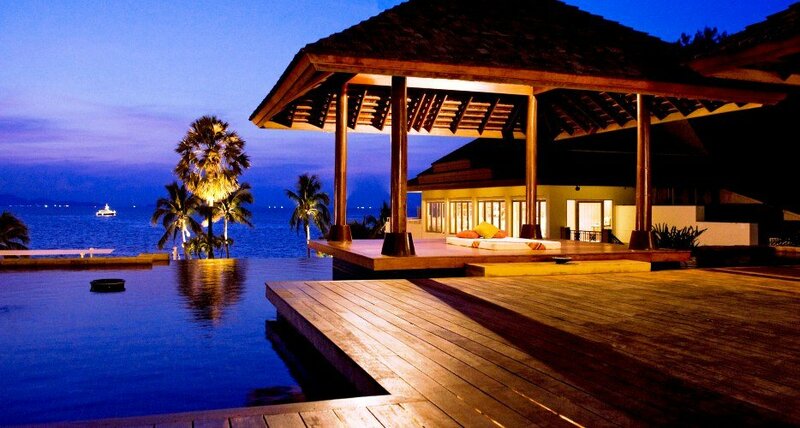 Here there are some truly amazing resorts and spa’s. Each is sublime in it’s own right, but unfortunately we can’t include them in all in the top 10 hotels in Pattaya. But one that’s absolutely has to be included is the Cape Dara resort. 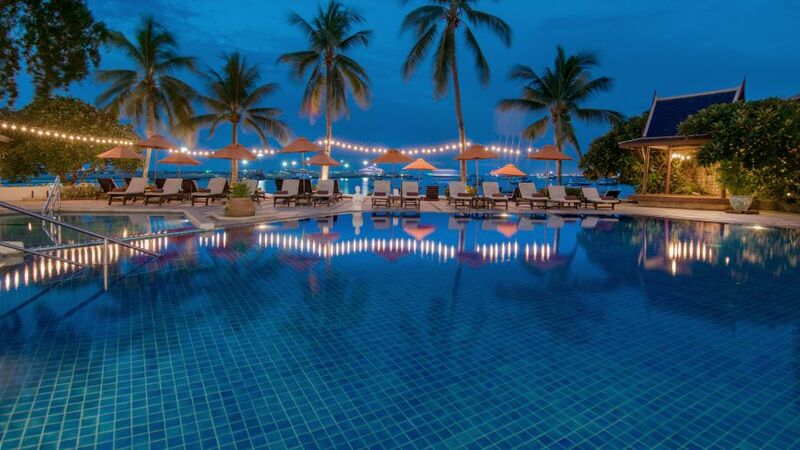 As the name suggest the Cape Dara resort is situated on its own cape or headland, which ensures the resort offers some of the best views in Pattaya. The recently constructed property has been designed to mimic a spinnaker (Sail), and the clever design means that every single one of the 264 luxury rooms boasts stunning sea views and private balcony’s. On site there are 2 large open air swimming pools, a private beach and contemporary restaurant serving amazing Thai and international cuisine. As well as a full service spa, fitness center and children’s club. The Cape Dara resort also offers a complementary shuttle service to take its guests up to the main road where they can enjoy a great selection of restaurants, bars and shopping facilities. Or where they can catch the baht bus straight into central Pattaya which is less the 1.5km away. The Hilton hotel in Pattaya offers probably the most central location of all hotels in the city. Located atop of Pattaya’s busiest shopping mall, central festival. Which is right in the center of Pattaya beach road and the hotel can be accessed from either beach road or second road. The location is perfect for views stretching across Pattaya bay. The hotel has a very modern and contemporary feel to it, and the lobby is is one of the best we have ever experienced. Each of the hotels 302 guest rooms is sleek and contemporary and a match for any boutique hotel in the world. 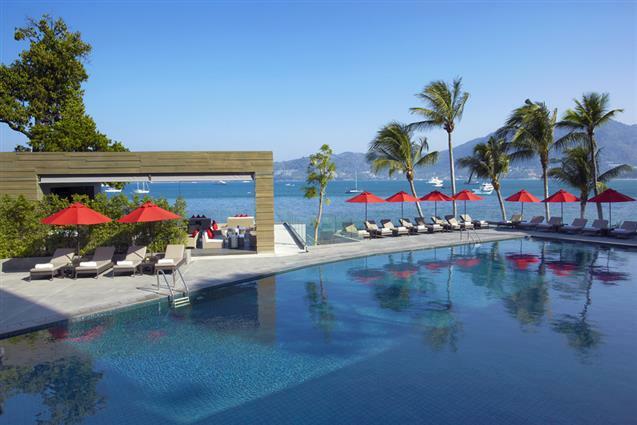 The hotel has a abundance of amenities including a full service spa, 3 restaurants and large infinity pool which blends seamlessly into the bay. But one of the best features of the hotel has to be the setting of its rooftop bar, which is not only one of the best bars in Pattaya but also boasts amazing views, what better way to start your evening than sipping expertly made cocktails, whilst watching the sunset over the bay. In addition the Hilton offers childcare, play-center, fitness facilities, hot tubs and business center. The relatively new hotel Siam @ Siam design hotel is the latest addition to Pattaya’s 5 star hotel scene. And has truly taken its mark on the city. This one off design hotel is superb and like nothing else in Pattaya. The owners have truly gone all out to impress the top end of the market, and offers everything luxury holiday makers could wish for. The boutique hotel offers an amazing rooftop infinity pool, world class cocktail bar, rooftop terrace, second swimming pool, fitness center, and 2 excellent restaurants. One of best reviewed features though is the staff. They have some of the most attentive, friendly and professional staff all ready to cater for your needs. The location at the Northern end of second road is perfect for exploring the city, and public transport is right on hand outside the lobby. Great for those looking to explore on their own. The beach is within 200 meters and the area around the hotel boasts, shopping malls, markets, cabaret shows and excellent local restaurants. For those looking for nightlife there are plenty of quality bars along this end of beach road, or simply jump on a baht bus to walking street which is 5 min ride away. The Rabbit Resort located on Jomtien beach has long been one of the best hotels in Pattaya, and has consistently been rated at the top on TripAdvisor. The hotel is small compared to its peers and only has 49 individual rooms/villas. But every single one is perfectly designed. There are 4 different types to choose from forest rooms are cute and eclectic, antique rooms for families, cottages boasting direct access onto Dongtan beach and the villas which offer luxury and comfort perfect for romantic couples and families. All of the rooms have been designed to reflect the traditional Thai teak house style and they are all set in the perfectly maintained tropical grounds. It doesn’t matter which room or villa you take you will feel like your in your own private setting as the grounds have been cleverly designed to offer seclusion to all their guests. Onsite guests can enjoy 2 outdoor swimming pools, restaurant and bar, as well as direct beach access. The location means the hotel is also great for exploring both central Pattaya and Jomtien. Both of which offer a great selection of restaurants and bars as well as attractions. The Centara Grand Mirage in Naklua is one of the largest hotels in Pattaya, and offers its guest just about anything they could wish for. The hotel is located on its own private section of Naklua beach and is far enough away from the center to off peace, yet close enough to jump straight into the action when required. Designed with the family traveler in mind the facilities here will keep you and the little ones entertained for weeks. Onsite the hotel boasts one of the largest swimming pools in all of Thailand, superb children’s club, separate children’s swimming area, fitness center. water park, lazy river and more. For the adults there is also plenty for you, including fitness center, 6 restaurants, 2 bars lounges, music lounge and one if the cities best full service spa’s. The Grand Mirage offers 555 rooms of various sizes all catering to different group family size. Each of which has been tastefully and comfortably decorated in a traditional manner. 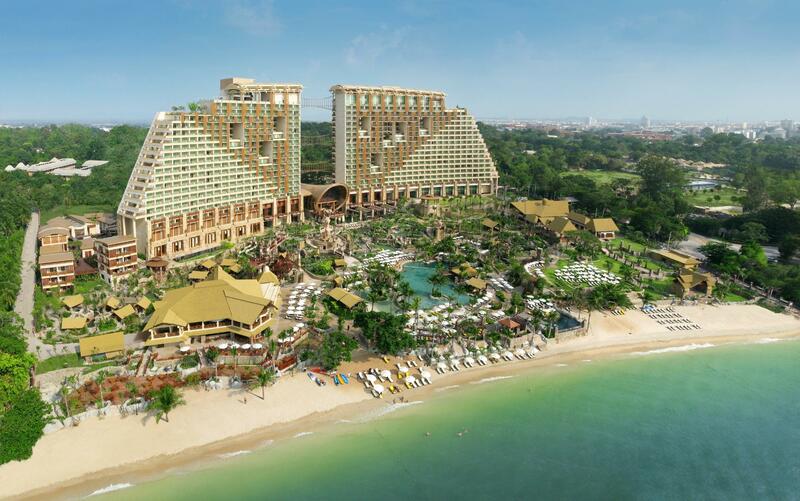 The Pullman Pattaya is located on the stunning WongAmat beach, boasting uninterrupted bay views and the stunning Sanctuary of Truth as a backdrop. 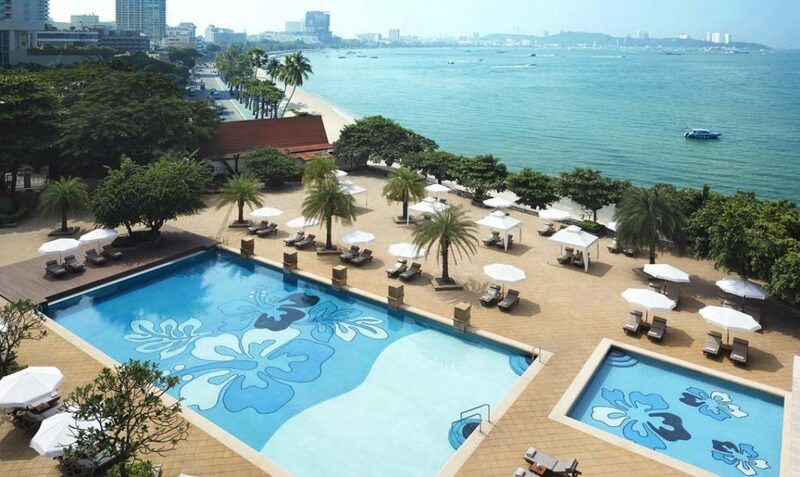 The hotel boasts access to it’s own private section of one of the best beaches in Pattaya. The low rise property is perfect for any guest looking for a true 5 star experience. A sleek a contemporary designed building, all set in lush tropical grounds and beach frontage. The hotel has 353 rooms, each of which is well designed and decorated and every single one has private balcony over looking the bay. The Pullman has 5 outdoor swimming pools, restaurant, bar, fitness center, full service spa and children’s club. Meaning there is no real reason to ever need to leave the property. The location is secluded and private but the downside is you are a little further away from the center of the action, but don’t despair the hotel offers a complimentary shuttle service to the surrounding area, where you can easily jump on a baht bus into town (about a 10 min journey). The Amari Ocean resort is large 5 star hotel located at the northern end of second and beach road, this is a great location. From here you can easily jump on a baht bus into the center of Pattaya, offering shopping malls, Walking Street and the beach. For those that want a slightly quieter day out simply jump on a baht bus in the other direction into Naklua and spend a day on Wong Amat beach. The hotel itself is actually two properties, the older and original 4 star Garden Wing which is a low rise property styled in traditional Thai decor, and set as the name suggests in tropical gardens. The newer 5 star Amari towers is a much more contemporary building and offers a stylish setting for the more discerning guest. Facilities available at the resort include, Full service spa, 24 hr fitness center, 2 large swimming pools, conference center, 2 restaurants, 2 bars and children’s club. The Siam Bayshore is a bit of a mystery, located right at the Bali Hai Pier end of Walking street, you could be forgiven for thinking it would be a noisy and busy property. However once you enter the luxurious grounds you are transported into a peaceful and quiet retreat. Quite how they have achieved this is beyond us. 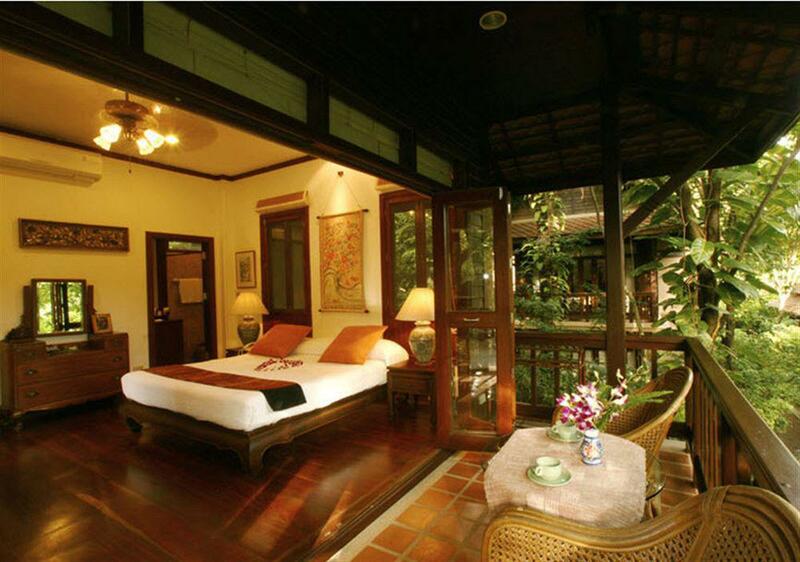 The hotel has 270 rooms all decorated in a traditional Thai style and set within tropical and lush grounds. Wandering around the resort it is easy to see why so many choose this resort for their stay. The grounds are peaceful and almost akin to meditation sanctuary. Onsite you have 2 swimming pools, rooftop bar, 4 restaurants, health club and spa. As well as all Pattaya has to offer within walking distance. 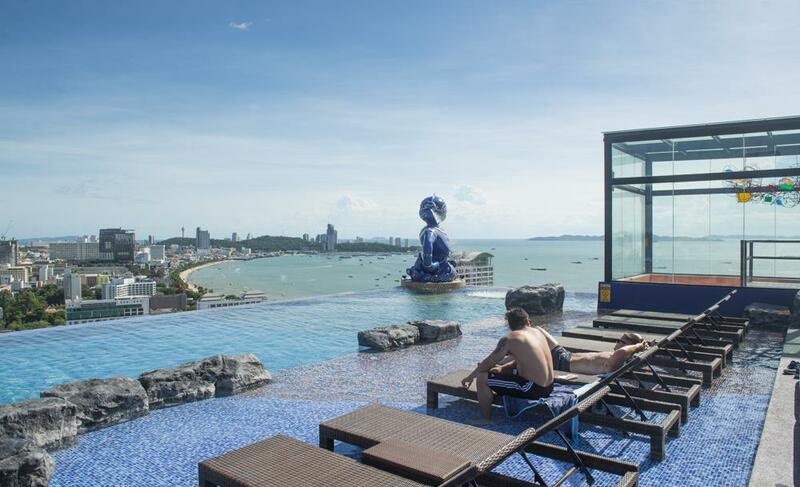 This concludes the list if the 10 best hotels in Pattaya and we will continue to monitor those hotels above and all other properties to make sure the list stays up to date.